If you're part of an organisation on Figured, chances are you'd like any reports you generate out of Figured to have your unique organisation logo. To get this started, send an image of your company logo that is 111 x 40 pixels (or thereabouts) to support@figured.com, or send it via the green chat bubble - and we'll get it uploaded for you. Once it's uploaded, we'll let you know and you can finish the setup on your individual user profile. Because you can be part of multiple organisations on Figured, you have the option to set your default report logo setting in your user profile which you can access here. 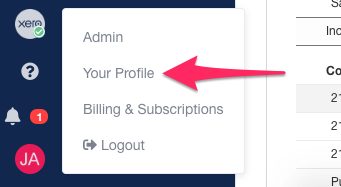 Alternatively you can access your profile settings at any time by click your user icon on the bottom left and selecting Your profile. Once in there, you just need to adjust the logo dropdown to your organisation of choice. You're all done! Next time you export a report to PDF, it'll show your organisation logo in the top right. NOTE: Each user in your organisation will need to select their default logo in their own user profile settings.